My fee for birth doula care is $800. Services include two prenatal visits, being on-call 2 weeks before your due date until the birth, support throughout your birthing process and one postpartum check-up. I will be available to you by phone and email for questions you may have for the duration of your pregnancy. I have many birth resources and will help connect you with appropriate services (acupuncture, chiropractics, lactation consultants, maternity supplies etc). I also have a lending library of books and other materials. For postpartum care my hourly rates are $25/hour with minimum shifts of 4 or 5 hours (depending on your location). Shifts may be scheduled between the hours of 9am and 9pm. 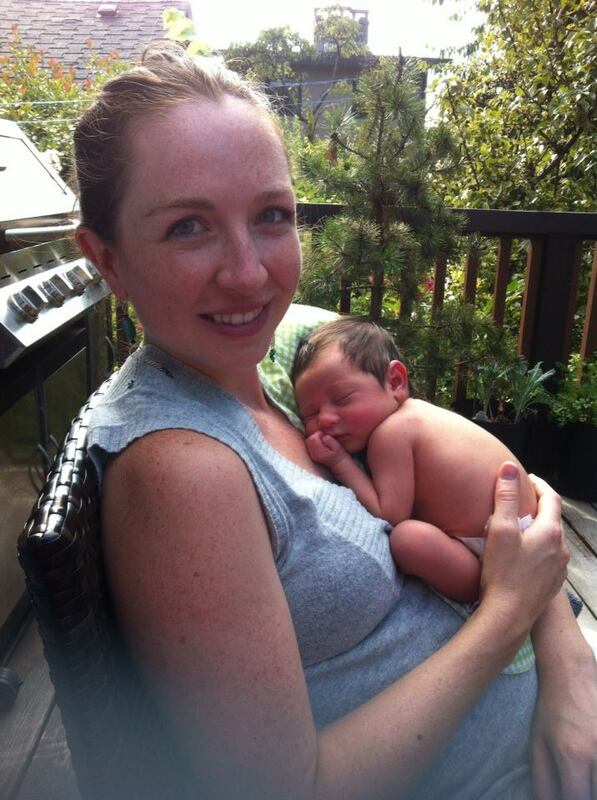 I offer my postpartum services in Vancouver only. Home birth clients may rent my birth pool kit for an additional $100 (includes Aquaborn Eco Birth Pool and all necessary supplies to blow up pool, fill and drain water, a tarp, tap adaptors, and towels). I am located in Vancouver and am available to serve nearby locations, such as: North Vancouver, Kitsilano, Kerrisdale, Point Grey, UBC, Downtown Vancouver and West Vancouver. Please contact me if you live farther away (Burnaby, New Westminster, Surrey etc) as I may be available. Gift certificates in any denomination are available. There is no better gift for a pregnant woman or couple! * All package prices are for daytime shifts with one infant. Packages will be adjusted by an increase of $1/hour for each additional infant/child. Packages and rates are subject to change without notice. -Do I need a birth doula? Every family would benefit tremendously from having a professional doula during childbirth. Even if you already have a birth support person (partner, friend or family), a doula can really enhance your birth experience by giving guidance to your loved one so that person knows how to best help you. Having a doula will also give them chances to have breaks when needed (birth can take a long time!). On the other hand, if your partner does not feel totally confident being your birth support person, a doula will be of great help to you, and your partner will be relieved to know you are being cared for. Remember, doulas are trained in all aspects of birth and will be there to help you in ways that cannot be duplicated by people who do not have this specialized training and experience. Since most people have never been to a birth before and feel fear around the process, it is important for you to ponder whether or not your loved one/support person will be able to anticipate your needs without guidance from a birth doula. I actually feel it is an unfair expectation that our society has for partners to be the main support person in birth. It is difficult to remain calm, nurturing and focused when the person you love most in the world is facing one of the biggest challenges she will ever face. That said, I think it is very important for your partner to have the opportunity to give you lots of love and emotional support and to participate in the birth of his/her child. -Will my partner feel invalidated if I hire a birth doula? This is a very common concern. The best way to answer this is to hear from fathers who have experienced a birth with a birth doula. Ask around to your friends (or see my testimonials). Many partners report feeling overwhelmed and unsure during birth and say that having a doula there helped them refocus and take a minute to have a snack or bathroom break without feeling like Mom was left alone. Fathers often feel very empowered and confident when doulas are there to show them practical ways that they can offer support. One of my goals as a doula is to have women look back at their birth experience and to remember their partner being this amazing intuitive person who was always there with just what she needed. I encourage this by giving suggestions to the partner so that it is him/her offering comfort measures, not always me. I want to make partners show up in the best possible way. A doula can also be instrumental in providing the couple with intimate alone time by requesting people (nurses, midwives, family members etc) to leave for a little bit. -What are the benefits of having a birth doula? 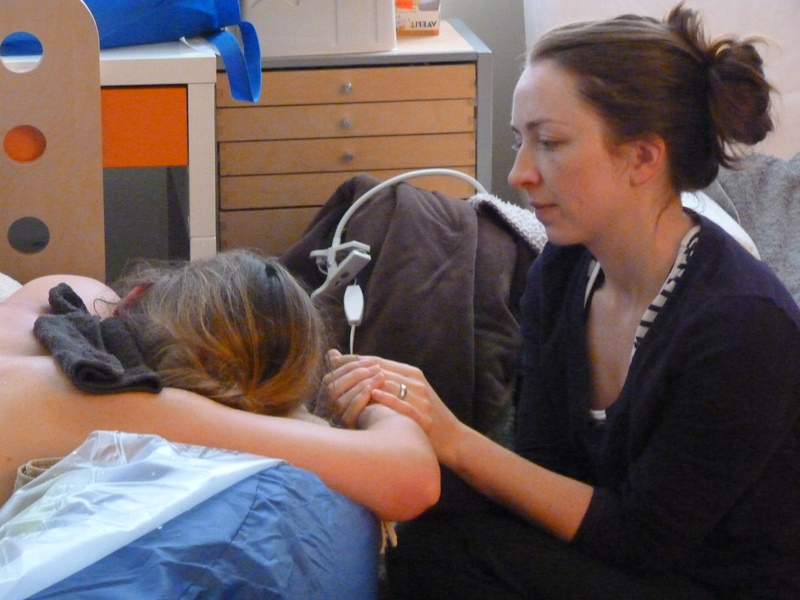 -What does a birth doula do? As a birth doula I will provide you with continuous support and care for the duration of your birth. Before your birth I will offer you non-judgemental guidance and information on things such as prenatal classes, what to expect, routine procedures for newborns, and how to set yourself up for the best possible outcome. If needed, I can help you write a birth plan based your preferences and suggest questions for you to ask your care provider. During your birth I will promote comfort and relaxation by offering you things like massage, acupressure, guided relaxation and suggest body positions that will best support your birth. As a doula I will be a grounded, nurturing and unobtrusive presence for you. I will remind parents to keep hydrated, nourished and rested (as much as possible) and Mom to take frequent bathroom breaks to prevent complications of a full bladder. I will remain positive and supportive and encourage you to trust your body’s ability to give birth. -What does a postpartum doula do? The role of a postpartum doula is that of a generalist. Doulas educate, share resources, and support newborn families. We have training in a very wide variety of things including breastfeeding, infant care (bathing, swaddling, diapering, soothing, feeding, sleeping, bonding), family dynamics (grandparents, Mom, Dad, older siblings), postpartum mood disorder awareness (to refer clients, not treat them), and normal changes in Mom’s postpartum body, just to name a few. Apart from that, I personally am willing to help out with light house cleaning, laundry, food preparation, bringing food and drinks to a breastfeeding Mom, and basic relaxation massage or reiki work. -What is the difference between a postpartum doula and a nanny or baby nurse? Nannies often do not have extensive newborn training or experience. Although nannies may offer great help with childcare, doulas help the family as a unit and will offer education, support and guidance to parents, grandparent and siblings also. As part of the certification process, doulas all create an extensive list of resources to refer clients to should you need them. Baby nurses also focus on baby only and do not have a doula’s ‘generalist’ approach to helping new families. If you are looking for a nanny, I recommend contacting Nooks & Nannies or Nannies On Call. -How long will I need a postpartum doula? This varies depending on many factors such as how many other children you have or if this is your first baby, when Dad/partner is going back to work, and how much support you will be getting from friends and family. Some families will hire a doula for a handful of shifts during the first few weeks to help them adjust to their ‘new normal’, other parents may simply want a full night’s sleep once or twice a week to keep sane, and some families may opt for regular support for 3 months and beyond.